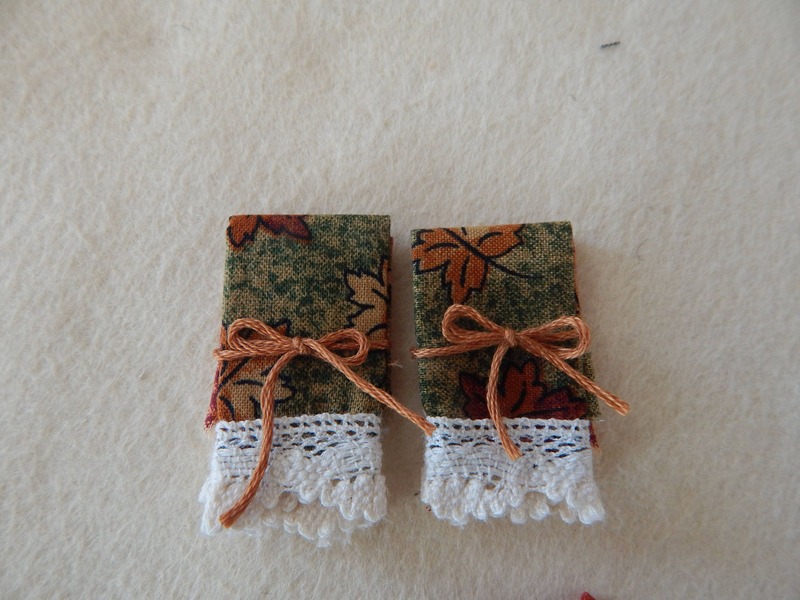 Fall inspired lace edged towels are perfect for your miniature dollhouse, diorama, or room box. 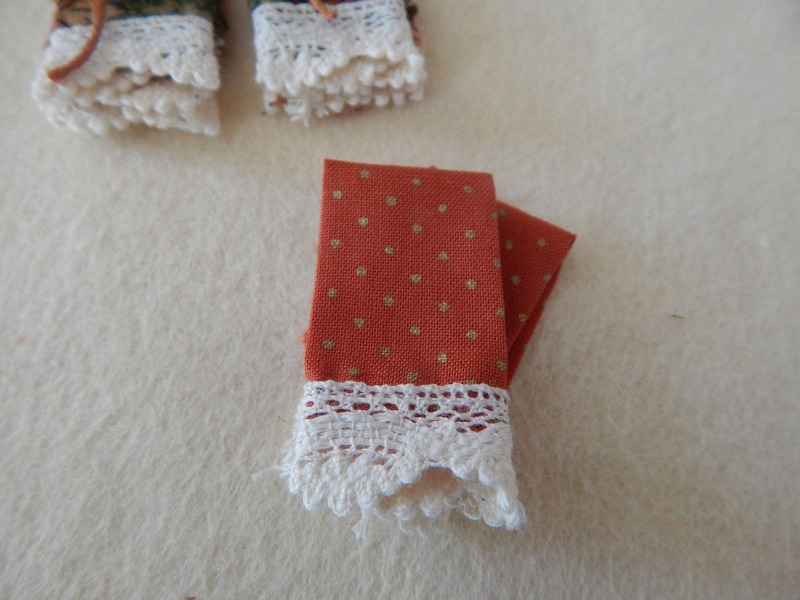 These towels will be featured in an upcoming American Miniaturist magazine for fall! The backdrop for the room is inspired by rich deep fall colors. Everything is made by me (except wood furniture!). The towels come as a 2 pack and are made with Rust and Fall Sage green colors. The two towels are both edged in beautiful lace. The towels are folded (3" x 3") and are stacked back to back and tied with twine. 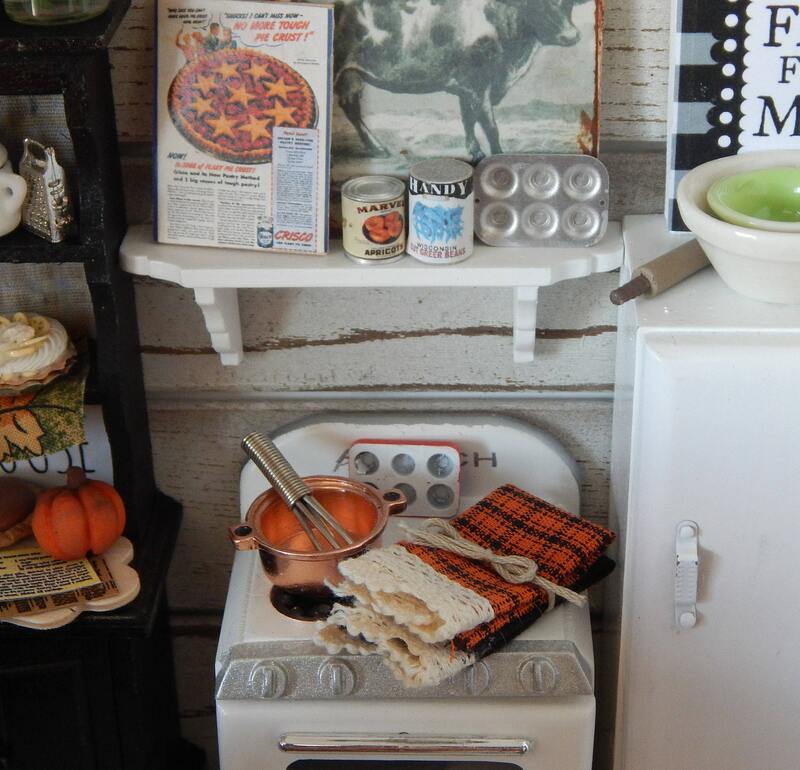 Finished measurements 1" x 1.25"
These towels are an inexpensive way to fill kitchen cupboards, shelves, or add decor to a kitchen. 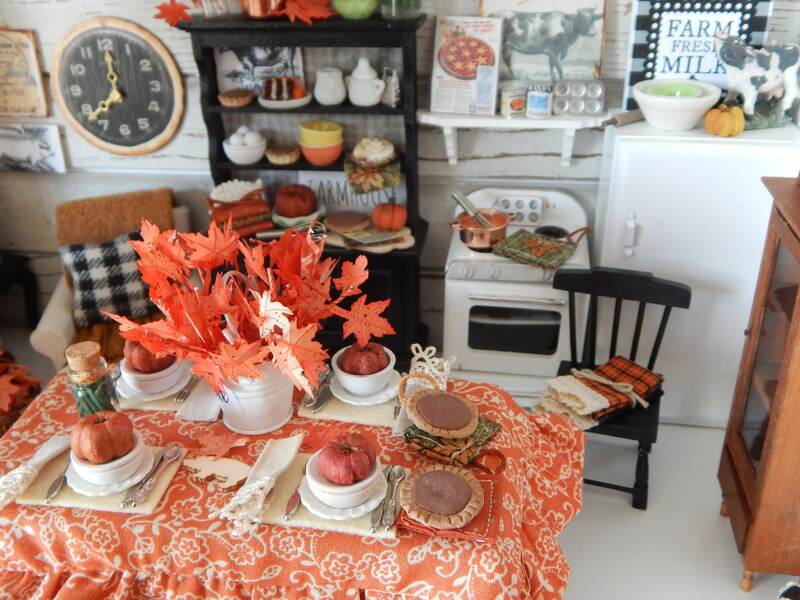 Change out colors of kitchen towels for each season. More beautiful towels for my decor! Thank you! 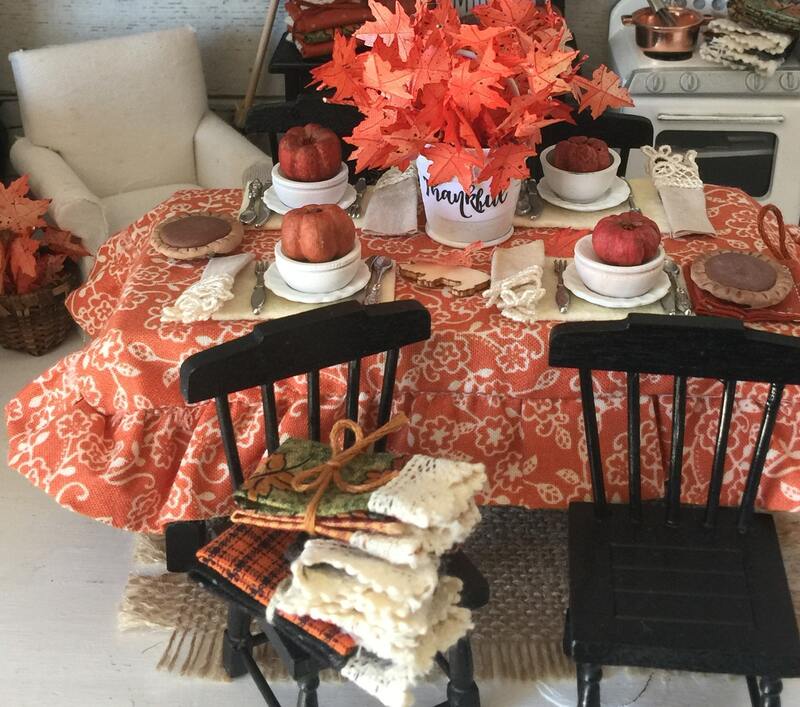 Very nice fall towels. Five star service.